We’ve come to the end of the financial year and for many businesses it means extra hours (even late nights) getting your taxation documents sorted. But it’s also an opportunity to hit the “reset” button and get clean and organised in the office for the year ahead. Here’s how you can perform an EOFY office clean out efficiently and securely. Be sure to remove hard drives of old laptops and desktops. Remember, sensitive information can still be retrieved after deletion. Complete media destruction must be employed. Information has become increasingly vulnerable nowadays. As a business owner, you are responsible not only for protecting your own company’s information, but also your customers’. You’ve already taken a big step towards information security by engaging the professional document destruction services of Complete Shredding. Here are 10 more tips to keep your sensitive business information secure. Paperwork is essential to running any business. If you don’t get on top of them, they can easily become a tall pile sitting at your work desk. Here are a few tips to help you better organise your business paperwork. Make a habit of going through your papers regularly before they stack up. All businesses generate confidential data such as information on clients, financials or personnel files, to name just a few. These documents may be in hard or soft formats and need to be disposed of safely once no longer required. This secure destruction requires specialist equipment to ensure that disposal is total and information cannot be utilised for criminal purposes. Your company’s exposure to identify fraud and illegal use of financial information can be minimised by properly disposing of sensitive paper or digital files. Complete Shredding Services offer the secure collection of confidential files and their destruction on site at your office or industrial premises. The first class shredding machinery on board our specialised trucks rapidly destroys your confidential waste and our team present a Certificate of Destruction on completion of the job to ensure complete peace of mind. The shredded material is then recycled, leaving with you no messy clean up job. We are happy to take care of one-off document purges perhaps when archives are cleared or an office move occurs, or schedule in regular collections if your business frequently requires sensitive document disposal. We can collect a wide range of secure document repositories such as archive boxes, binders or locked security bins and once emptied we will return bins to their correct location on site. 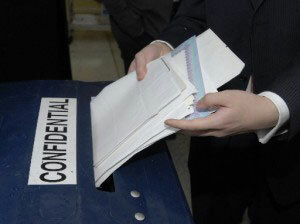 Don’t leave your confidential waste in insecure hands, utilise the services of a secure document destruction company. We pledge to be your trusted provider and offer a professional service at a price that might surprise you, contact our team today for a quote. No matter what size of business, from the smallest to the largest, there are always confidential documents that need to be safely stored or destroyed. The increase in identity theft and financial fraud linked to data from sources that have been incorrectly disposed of is alarming. Professional shredding of documents and their complete destruction helps prevent information being discovered and used for criminal purposes. Sensitive details that require shredding include client information, credit card numbers and staff information such as payroll and personnel files. In our digital age, hacking and other cyber-crimes are regularly attempted on corporate networks and IT professionals work hard to protect their company data. It’s easy to forget that so much data is still produced in paper format and that organised thieves are looking for its inadequate disposal in order to utilise it illegally. 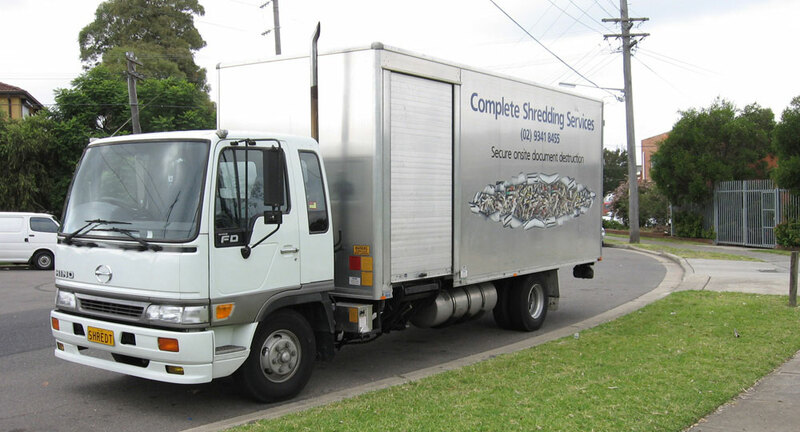 For safe security document destruction trust the experts at Complete Shredding Services. We are a mobile service that offers the convenience of coming to your premises, at home or work, and destroying hard copy documents onsite. Your papers are collected in secure bins and shredded immediately in our trucks before we leave the site. Utilising the most advanced technology, our market leading operation provides your business with complete peace of mind that all documents are fully destroyed whilst you wait. Following their destruction, a certificate is then issued to officially notify completion of the job. The shredded paper is recycled, leaving you with no mess or leftover rubbish to dispose of. Contact our friendly team today for a quote or visit our website to do it online. Looking For a Complete Product Shredding Service? Ordinary refuse collection is no way to dispose of confidential information, it could easily end up in unscrupulous hands and result in stolen identity or financial fraud. The secure destruction of documents, files, computer discs and drives is vital in ensuring the protection of sensitive data on your staff and clients. Compromising this information can lead to irrecoverable consequences for a business found to have inadequate product shredding procedures in place. The Complete Shredding Services trucks are equipped with hi-tech equipment to securely dispose of your private hard and soft copy files. Once arriving at your site, the team collect all documents safely and destroy them on board the trucks before leaving your premises. The empty bins are returned to your requested locations and a Certificate of destruction is presented as evidence of our service completion and your peace of mind. We can arrange for the sale or lease of lockable document bins to your company, which we will collect and destroy once full and organise the shredded paper to be recycled. We take pride in operating as a trustworthy and reliable company that is fully committed to a professional and affordable service. Visit our website to request a quote online or if you prefer to speak with a member of the team call 02 9341 8455. Information to have handy would include when onsite parking is available for a truck and whether this is on street or in a loading bay etc. If there are steps at the building or a lift is accessible and the type of job such as office clean out or computer disc destruction. Where Can You Find Hard Drive Shredder Services? Many people understand the need to dispose of confidential paperwork properly to prevent the fraudulent use of personal details or financial information. Protecting ourclients’ identity is vital and Australian legislation stipulates the secure disposal of certain types of data within particular timeframes. Regulating the storage and timely destruction of sensitive details is necessary to combat the illegal obtainment and use of private information for criminal activities. The interference with individual or corporate privacy through the unauthorised possession of confidential material is commonly associated with paper documents that have been inadequately disposed of. Whilst many offices have substantially reduced their generation of hard copy records, instead creating digital and online equivalents, there is still a large volume of paper that requires secure destruction. Attention must also be given to the equipment that creates, stores and files the electronic data of today’s age. Here at Complete Shredding Services we fully understand the business of securely destroying all forms of confidential data, be it paper based or digital. Our state of the art trucks are equipped with the latest shredder technology to dispose of files, bins, compact discs and computer drives. Our professional team collect your sensitive data in secure containers and immediately destroy it on site, leaving you with peace of mind that the job has been completed. For further information on the secure destruction of your documents or computer hard drive shredder services, contact us today for a quote. Ring our professional team on 02 9341 8455 or complete the online form and we’ll get in touch with you. Shredding important business and personal documents with the help of a professional shredder service will safeguard your identity and business secrets. 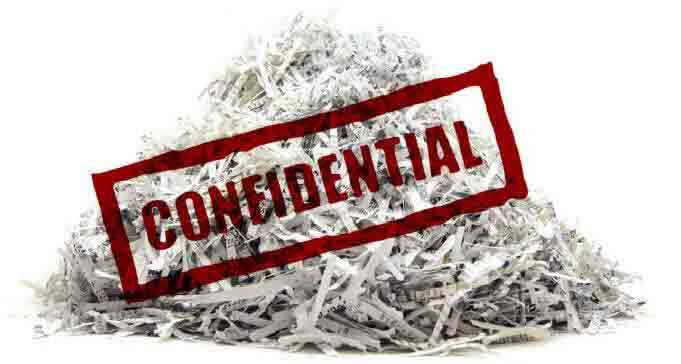 The best way to destroy your confidential documents is to take help of a professional shredder service. You need not have to worry at all about your documents that you no longer require. They will be totally under the custody of the hired shredder service until entire shredding is completed. You will have a closed bin where you can keep all your documents that need destruction. Social security numbers, names, addresses, personal account details, and signatures are all assets to identity thieves or competition. Criminals who steal personal identity details utilise it for buying expensive assets and for withdrawing money from other’s accounts. Document shredding services are therefore important for security purposes.